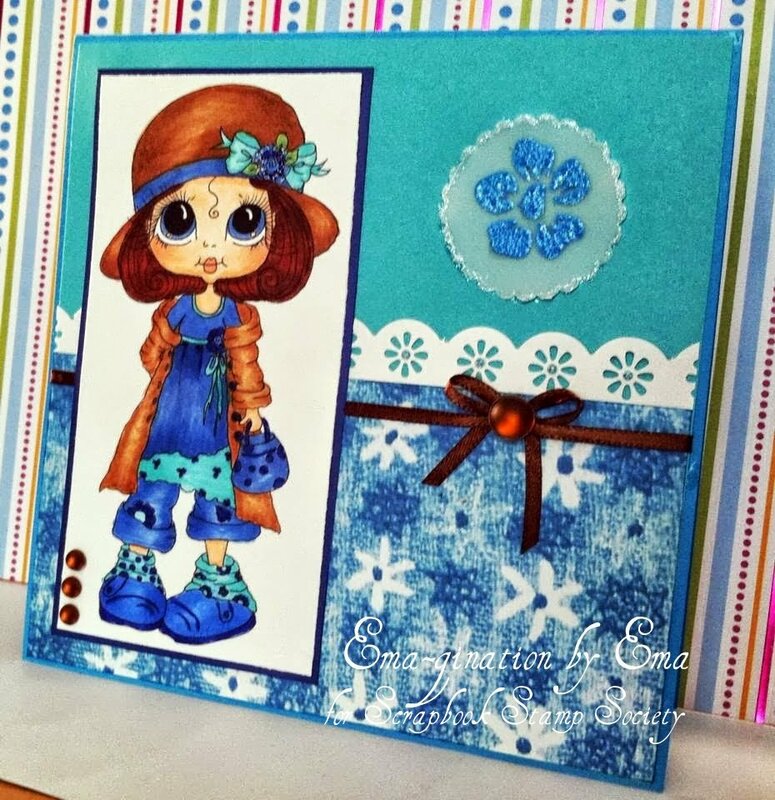 Scrapbook Stamp Society Challenge Blog is having Challenge #12 - Anything Goes. These are my favorite! :) Love me them "anything goes" challenges! I have one of these adorable BestiesTM to play with! It's nameless but you can find it under Img765 at Scrapbook Stamp Society. Everything I used to put this card together is from my stash. 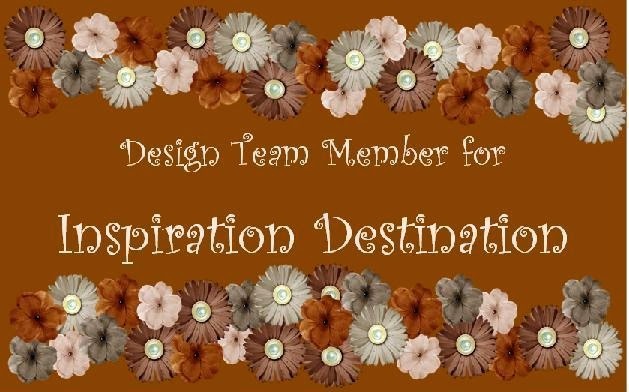 The flower embellishment is a flower rubber stamp wet embossed on parchment paper. haha... I thought it was vellum! :-\ Silly mistake on my part! :( I punched out the flower a scalloped circle punch and then dabbed Stickles in Baby Blue all along the edges. I also added Stickles to the large flower on her hat. I added the adhesive behind the flower so it would not show through. I kept the card pretty simple. I tend to want to do that because I feel, after I've colored the image with my wonderful Copic markers, they should be the center of attention! :) I also meant for the flower punch to be a focal embellishment.